You can often find yourself stuck between deciding whether you should hire a moving company in Gilbert, AZ or move your things by yourself, without the help of professionals. It can be a very difficult decision to make, but we have tried to help you make that decision by evaluating the advantages and disadvantages of both the options in this blog. When you hire a moving company in Gilbert, AZ that is known to be the best, you are automatically guaranteed convenience. They offer amazing customer service, and because of their help, you won’t have to worry about pulled muscles, body ache, scraped knuckles, and other potential injuries while lifting your stuff. By hiring the services of a moving company in Gilbert, AZ, you will not have to worry about valuable, precious, and fragile items while relocating to your new home. Hiring a moving company in Gilbert, AZ may sound like an expensive idea. You may be thinking that you can save up money by choosing to move things yourself instead of hiring someone else to do it for you. But, have you ever thought that if you choose to move your things by yourself, you will have to hire a moving truck that can cost you around $400. You will also have to pay for the truck’s gas too, especially if you are moving to another state. You will be spending $600 approximately for moving your items yourself. If you call moving companies to compare the price, the difference in moving cost is quite less. Your safety is really important when it comes to moving from one place to another. 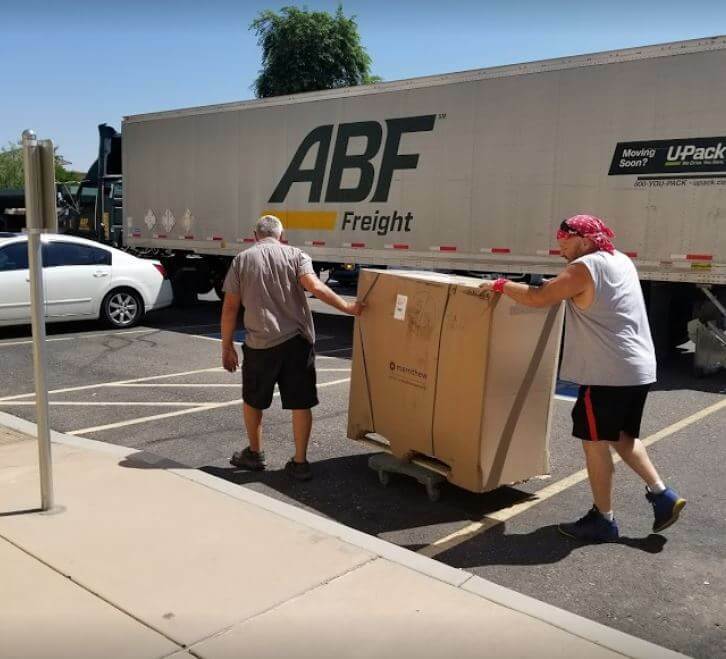 If you have a condition such as arthritis or you have had a recent injury, it would be advisable for you to hire a moving company in Gilbert, AZ to move your things. Also, if you are aged, and think you are too old and weak to do this moving task yourself, then it would be a smart idea for you to hire a moving company in Gilbert, AZ. When you choose to hire a moving company in Gilbert, AZ, you will be saving yourself a lot of time than you will if you choose to move your things all by yourself. It’s because two is always better than one. When you hire a moving company in Gilbert, AZ, you will get a team of movers to move your things from your old house to your new one. These professional movers are well-versed in their job, and know all the ins and outs of moving to a new location. They are so experienced, and have done this so many times that they will move your things faster to your new location. After reading our blog, we hope now you are clear about whether you should hire a moving company in Gilbert, AZ, or move your stuff by yourself. We think you will do the former. Happy moving!